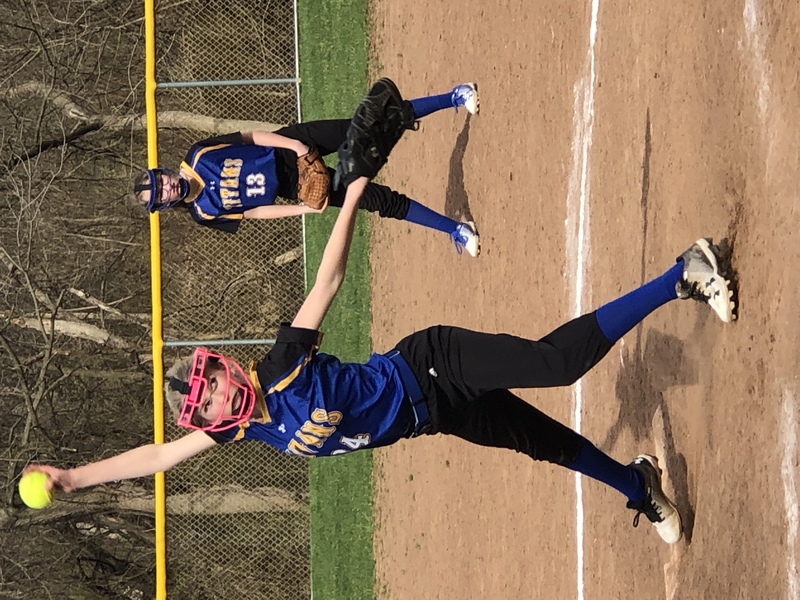 West Mifflin Middle School Titan weathered a push by South Park in the third inning where West Mifflin Middle School Titan coughed up five runs, but West Mifflin Middle School Titan still won 15-5 on Wednesday. Kenzie, Chloe, Maya, and Kirsten powered the big inning with RBIs. West Mifflin Middle School Titan got things started in the first inning when West Mifflin Middle School Titan scored on a stolen base during Mandy Scheaffer’s at bat. Then Scheaffer singled , driving in one. Caroline Clark led things off in the pitcher’s circle for West Mifflin Middle School Titan. She lasted six innings, allowing eight hits and five runs while striking out five. Maya led things off in the circle for South Park. She lasted six innings, allowing 16 hits and 15 runs while striking out four. West Mifflin Middle School Titan tallied 16 hits. Scheaffer, Shawna Walker, Clark, Jasalin Guenther, and Taylee Chasko all had multiple hits for West Mifflin Middle School Titan. Walker and Scheaffer each collected three hits to lead West Mifflin Middle School Titan. Chasko led West Mifflin Middle School Titan with three stolen bases, as they ran wild on the base paths with eight stolen bases. South Park tallied eight hits in the game. Ava and Kirsten all collected multiple hits for South Park.